Mac aficionados or computer users who want an alternative to Microsoft and Windows need to check out Apple’s MacBook Pro features. While generally more expensive than their Windows-powered counterparts (and even more expensive than Google’s Chromebooks), the MacBook Pro features high-end computing power and the sleek design typical of products out of Cupertino. For users already invested in Apple’s proverbial walled garden — owners of iPods, iPads, Apple TVs, and the like — buying a MacBook Pro laptop makes managing content on those other devices a bit easier. Apple users can also easily manage broadband performance on all devices by selecting a single non-Flash based, HTML5 test. There are a lot of “up to” phrases in the feature descriptions above. A fully appointed MacBook Pro with the 1TB solid state storage and 2.6GHz processor options comes in at a $3,299.00 price tag, so this is definitely a high-end laptop computer. Expect to pay about half as much for a Windows laptop with similar hardware specs. A lower-end MacBook Pro without the Retina display costs $1,199.00 with a dual core Intel i5 chip, 4GB of RAM, and a 500GB non-solid state drive. 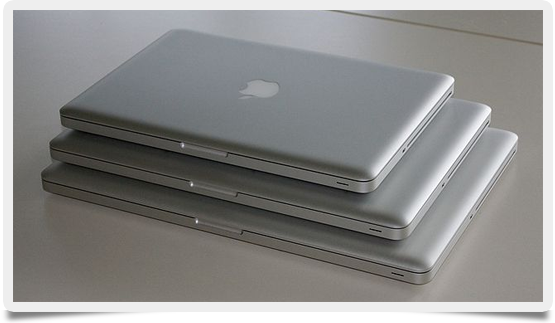 Most of the MacBook Pro line comes with the Retina display, with prices ranging from $1,299.00 to the quoted $3,299.00. Obviously, processor power, on-board RAM, and hard drive storage are the prime differentiators when it comes to the final price. Each MacBook Pro comes with a host of pre-installed software: including iMovie, Garage Band, iPhoto, and more. OSX Mavericks is a robust operating system that is easy to use and boots significantly faster than Windows. So if you are in the market for a high-end laptop, the MacBook Pro with Retina display makes for a compelling option. Performing a regular Internet speed test never felt so good!